January 18, 2009 Colors of A Spectrum Photo Exhibit at Events Centre SM City Davao guest of honor Davao City Councilor Leo Avila. 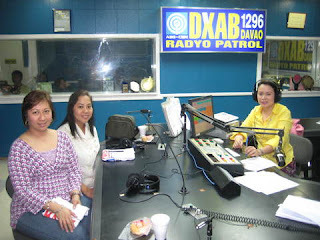 January 21, 2009 Ms. Jane Gonzales of ASP/RICAFI was invited as resource speaker on autism by Dr. Minerva T. Fabros, Regional Supervisor for Special Education. 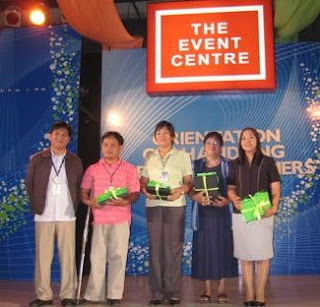 Afterwards, the Department of Education held an Awards Ceremony for Outstanding Special Education Teachers for Region XI held at the DepEd Conference. February 9, 2009 SM Events Centre Davao City held the Caring for Special Customers with 300 tenants attended the Autism Orientation with guest speaker ASP Davao Chapter representative Ms. Jane Gonzales. 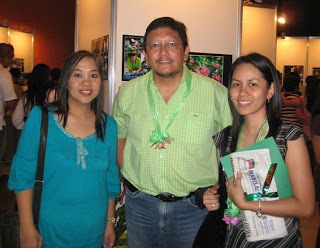 Other representatives of different disability organizations Diana Sipaco of the DS Foundation for the Differently Abled ; Liza de Gorio, focal person for PWD of the DSWD XI and Arman Amancio of the Kapisanan ng may Kapansanan were invited as resource speakers. “Mabel at Your Service,” Davao Councilor Mabel Acosta’s regular Sunday radio program at ABS-CBN invited Dr. Riza Isaguirre, a Developmental Pediatrician and Jane Gonzales of ASP/RICAFI, parent and teacher to give different viewpoints on autism during the radio interview. at "Mabel at Your Service"
March 19, 2009 A Consultation Meeting between ASP Davao Chapter Officers Mrs. Precy Rica of the CSSDO, Davao City, DOH representative and staff of Councilor Mabel Acosta headed by Chief of Staff Yvette Sunga was held at the office of Councilor Mabel Acosta was held last at Conference Room, Sangguniang Panglungsod, Davao City. Councilor Acosta gathered the stakeholders for a meeting on possible projects with ASP. A second meeting with more stakeholders will be finalized by Councilor Acosta. April 15-25, 2009 Kamp Pag-asa, an annual summer camp for children with disabilities in Davao City held an Autism Orientation Lecture at Mindanao Kokusai College, Davao City. Ms Jane Gonzales was invited to the lecture on autism to prepare Kamp Pag-asa volunteers on how to manage and care for “live-in” campers with autism for ten days. The activity was in partnership between the City Council for the Welfare of Persons with Disabilities, CSSDO, GOs, Pag-asa ng Batang may Kapansanan Foundation, Inc. and the Benevolent People of Region XI, who sponsored the Orientation Lecture. Kamp Pag-asa was held on at Kapt. Tomas Monteverde Elem. School in Davao City.